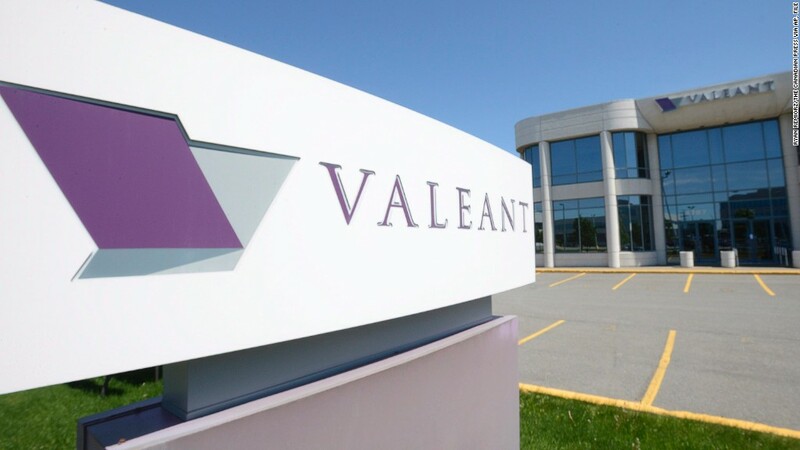 Valeant Pharmaceuticals CEO J. Michael Pearson has gone on a medical leave of absence, according to the company. Pearson's leave comes after he was recently hospitalized with pneumonia. To fill in for Pearson, the company's board created an office of the chief executive officer with three top executives. The board also created a committee to oversee the office. "Our thoughts are with Mike and his family," said Robert Ingram, lead independent director and oversight committee member, in a statement. "Out of respect, we will be honoring his family's request for privacy and will not be commenting further on his condition at this time." Pearson has been the head of Valeant (VRX) since 2008, leading the company during an aggressive expansion. More recently, he's had to steer the company through a difficult period. Shares of Valeant have fallen nearly 50% in the last three months. In October, federal investigators subpoenaed the firm for information on how it prices and distributes drugs. Stock researchers at Citron, a short-selling firm, called Valeant a "pharmaceutical Enron" that's deceiving investors and inflating sales through bogus pharmacies. Pearson and Valeant have strongly denied the claims. The company has closed down a controversial pharmacy.